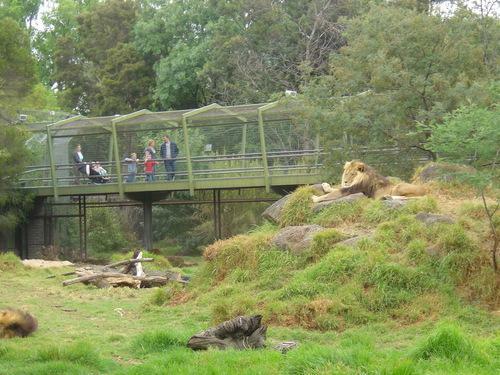 The Royal Melbourne Zoological Gardens including the Formal Garden Layout and elephant statue; former Mandrill House; former Monkey House; Great Flight Aviary; Giraffe House and Enclosure; Octagonal Aviary; former Carnivores' Food Preparation Room; Perimeter Fence, and Front and Back Gates; and former Elephant House and Enclosure including the moat. 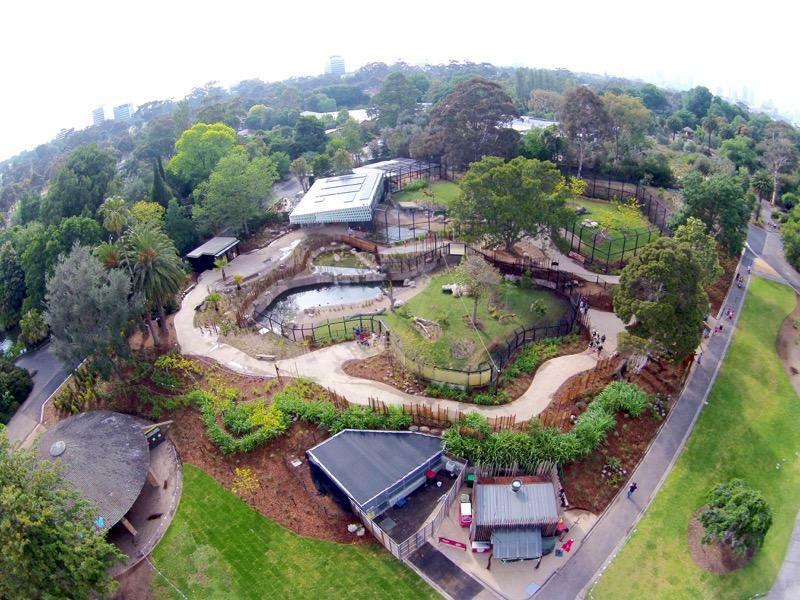 The Royal Melbourne Zoological Gardens (now known as the Melbourne Zoo) is the oldest zoo in Victoria and Australia and opened in 1862. 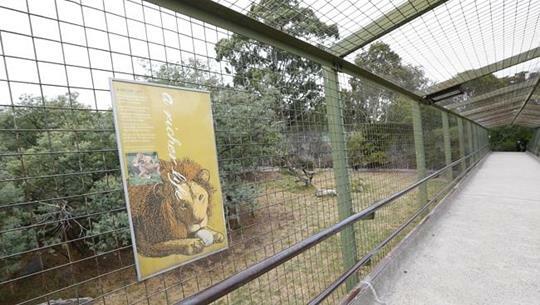 Prior to this, animals procured by the Zoological Society of Victoria were kept in rudimentary enclosures at Richmond Paddock opposite the Botanic Gardens. These animals were brought to Victoria to enrich the purses and sensibilities of its colonists - birds that would sing sweetly or consume fruit-eating insects, fish for the rivers, and game and grazing animals for bush and paddocks. 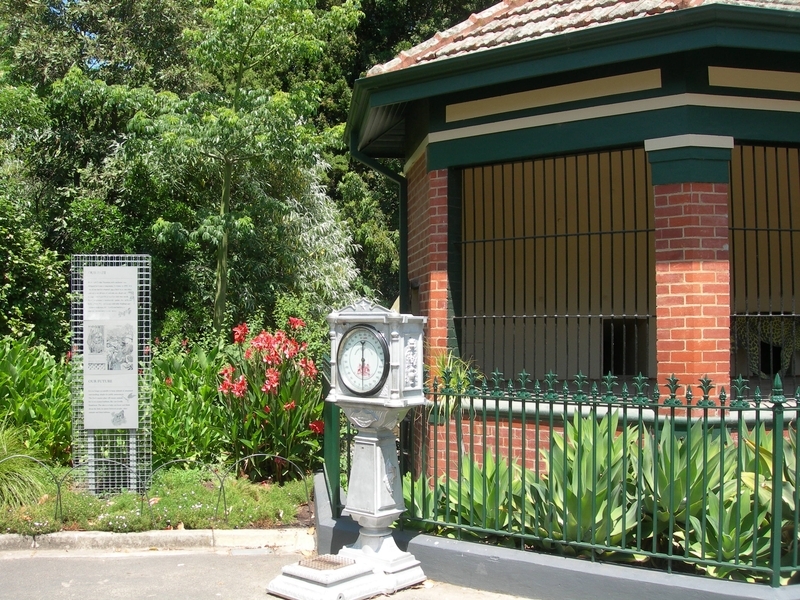 The importation of animals from other countries was known as 'acclimatisation' and influenced the Royal Melbourne Zoological Garden's early development. The popularity of the Zoological Gardens at Regent's Park in London (1826) also lent weight to its establishment, as did a drive to demonstrate civic development during the Victoria's growth after the gold rushes. 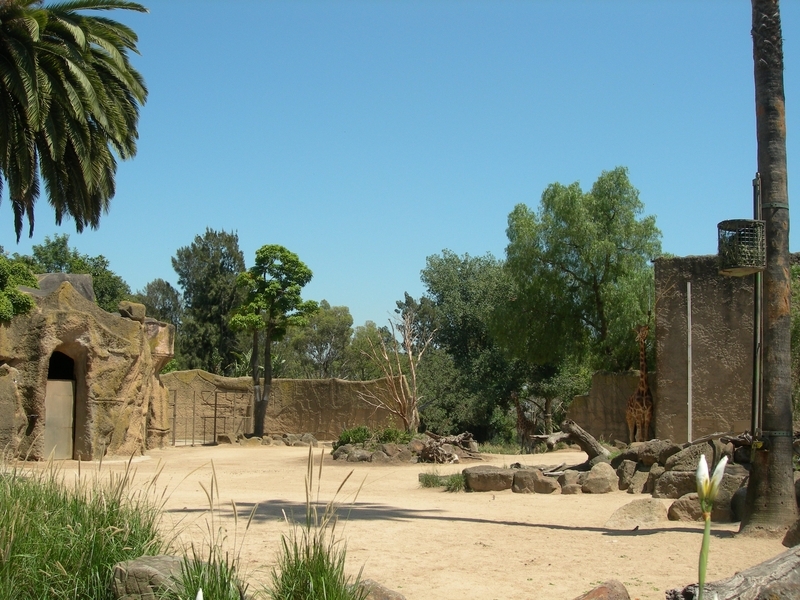 In the first three decades following the 1870 appointment of director Albert Le Souef, exotic animals were procured for public display, entertainment became a central function and the Zoo and its attractive gardens were established as a major recreational and cultural feature in Melbourne. 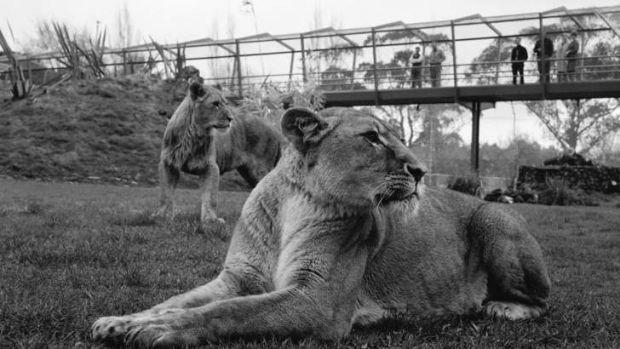 In the 1960s discussions around the world regarding the value and role of zoos led to a change in perspective within the international zoo community and Melbourne Zoo began to transform its presentation and treatment of animals. 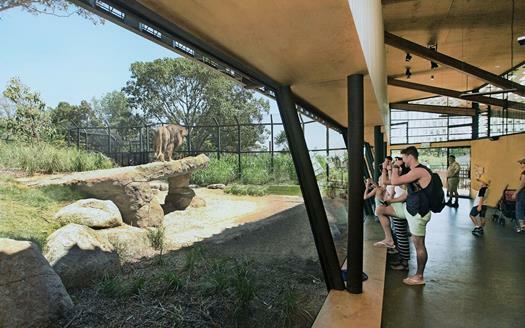 The present-day Melbourne Zoo continues to remodel and redevelop its facilities to better address its objectives of conservation, research and education.
. Former Elephant House and Enclosure, including the moat: the Elephant House's roof features four parallel asbestos-cement cranked barrel vaults. Decorative relief graphics on its parapet depict elephant heads, whose sinuous trunks echo the form of the roof. 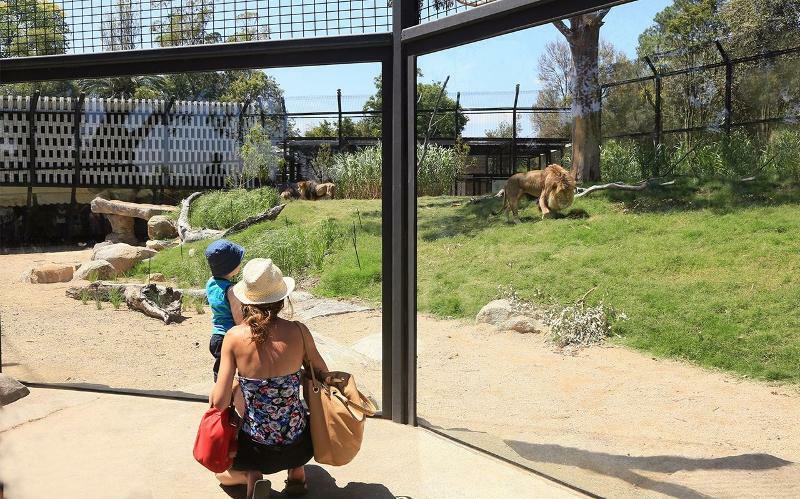 The Royal Melbourne Zoological Gardens is of aesthetic, architectural, cultural, historical, scientific and social significance to the State of Victoria. 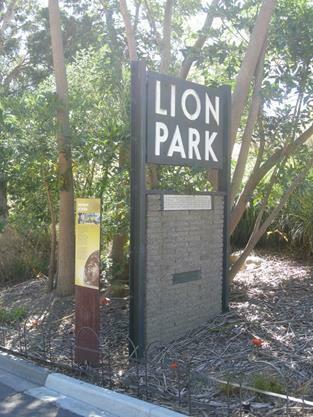 The Royal Melbourne Zoological Gardens is historically significant for its association with the lives and works of three of its former directors. Albert Le Souef (1870 to 1902) and his son Dudley Le Souef (1902 to 1923) are internationally recognised for their pioneering contributions to the body of scientific knowledge regarding the care and display of animals. 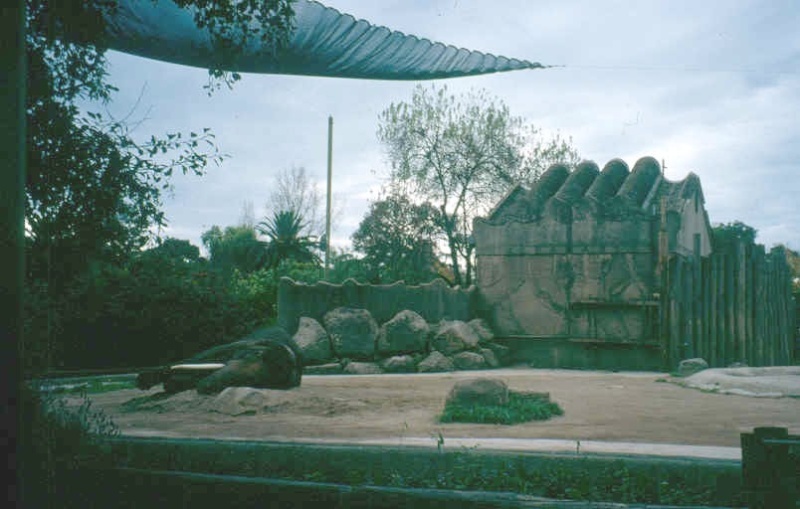 Alfred Dunbavin Butcher (1962 to 1987), chairman of the Board of the Royal Zoological Society of Victoria, began an ongoing process of transformation in which the design of and habitats within the Zoo's enclosures better accommodate many aspects of species' instincts. 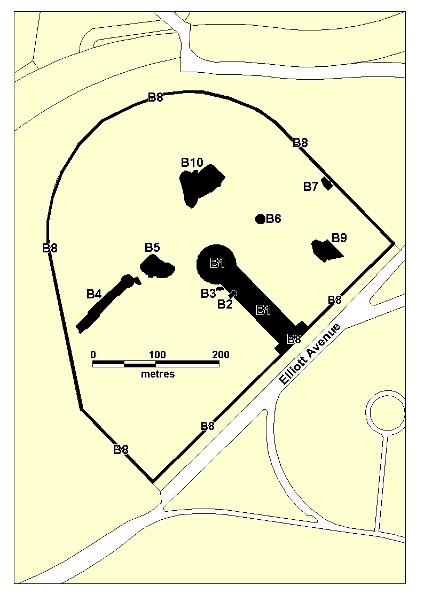 But removing the former Lion Enclosure shown cross-hatched on Diagram 1074. 1857: Meeting held 6 October 1857 in St Patrick's Hall, Melbourne toforman ornithological society. Meeting proposes formation of azoologicalsociety 'both for the purpose of science and for that ofaffording thepublic the advantage of studying the habits of animalcreatures in aproperly arranged Zoological Gardens'. 1858: Zoological Society reconstituted as a committee appointed bytheChief Secretary to administer the Zoological Gardens, then locatedinRichmond opposite the Botanic Gardens; Ferdinand MuellerappointedDirector in August 1858. 1861: Committee disbands in favour of the newly formedAcclimatisationSociety of Victoria; Zoological Gardens moves to presentsite in RoyalPark. 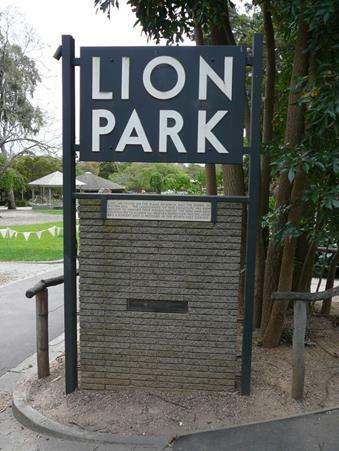 The 700 acre (approximately 280 ha) site of RoyalPark had beenreserved by Charles La Trobe in May 1859 (on the eve of hisdeparturefrom Victoria) following efforts since 1844 by the MelbourneCouncil tohave the area set aside. An experimental farm on 142 acres hadbeen setaside in 1858 at the north-west corner of the site. 1861-62: The whole park area of about 223 hectares at Royal Parkmadeover to the Acclimatisation Society of Victoria to accommodate itsherdof alpaca llamas as well as some camels and antelopes whichthegovernment had placed in its charge. The successful attempt by EGFitzgibbon, the Town Clerk of Melbourne, to resist thepermanentreservation of this land, was only the first of a series ofbattles toprevent the whittling away of the parkland. 1861: Trustees appointed by the government enclosed an area of alittleover 20 hectares near the centre as a zoological gardens.AlbertPurchas, committee member of the Acclimatisation Society ofVictoria,requested 'to peg out and properly define the ground to befenced in'.Purchas gave his services gratuitously and in 1889 wasofficiallyappointed architect for the zoo buildings. His contribution tothecommittee lasted until his death in 1909. Competition for a designofthe zoological gardens held in May 1861 attracts 7 entrants.Competitionwon by Alfred Lynch. Central path and water feature innorth-eastportion of site probably part of his plan. (p.81) The Lynchdesignpossibly the basis of the 1875 published plan but de C has noevidence.(p.81). Paths laid down by A.A. LeSoeuf and Wilkie Brothersappointedgardeners. Camel sheds (formerly in the vicinity of the Burkeand Willstree) transferred to the new enclosure, but alpacas and goatsgrazedoutside in Royal Park during the day. 1870: Albert Alexander Cochrane LeSouef appointed Director, June1870,and occupies position until his death in 1902. 1872 Influence of Le Soeuf felt in the renaming of theAcclimatisationSociety as the Zoological and Acclimatisation Society ofVictoria. 1875: Guide to the Zoological Gardens (with plan) published.Waterfeature shown in the north-east portion of site, probably theworkdescribed in 1863. 1875: Bear pit established at Melbourne Zoo, part of the 'modernzoo'tradition derived from Regents Park , but out of date by 1876(accordingto Le Soeuf). Containment was formed by a pit (rather thanbars) andthere was an element of entertainment (pole up which bearclimbed). Thepit was unsightly and unhealthy and was infilled in 1913. 1876: Reservation of Royal Park with the exclusion of thezoologicalgardens, the site of the later powder magazine and theproposedshowgrounds site; in 1883 and 1884 these latter two were addedto RoyalPark. 1880: A. Le Souef travels overseas. Admission first charged at the zooon14 January 1880 with more widespread implementation of admissionchargesin 1881. 1881: Zoological and Acclimatisation Society Incorporation Act, No.794,1881. 1884: Railway line through Royal Park opened for traffic. In 1875 aplanhad been prepared for a line of railway to enter the park atFlemingtonRoad, opposite Dryburgh Street, pass around the east side ofthe Zoo,and enter Brunswick Street at the same point as the presentline. TheRailway Construction Act of 1880, which authorised the line,permitted adeviation of half a mile, but construction began in 1883 onthe surveyedroute: then plans were changed and a cutting formed fromFlemington Roadtowards the Zoo was filled while construction of thepresent morewesterly route began, involving the removal of the powdermagazine butnot the two associated cottages, which were subsequentlyoccupied byemployees at the Zoo. The railway was opened for traffic in1884, when anew Railway Construction Act authorised the line whichbranches off tothe north-east of Ievers Street, as a part of the OuterCircle route(opened in 1889). 1888: Dudley LeSouef travels overseas and marries. On his returnhisfather (Director, A.A. Le Souef) requests £500 for a newresidence(possibly the one now occupied by FOTZ) - this residence wascertainlyerected by 1896 when it was shown on the MMBW plan. 1889: Horse drawn tram route constructed by the Melbourne Tramway&Omnibus Company Limited along the road to the Zoo from theintersectionof Sydney Road and Gatehouse Street; these trams ceased in1923. Thetramway was also apparently constructed in 1889 along itspresent routefrom Abbotsford Street, North Melbourne, across the park tothe west ofthe Zoo, and on through West Brunswick to Bell Street, WestCoburg. 1896 MMBW plan of the Zoo published and this shows considerable detailoflayout. 1902: William Henry Dudley LeSouef succeeds his father as Directorandserves until his death in 1923. Visit to Hagenbeck Zoo, Hamburg,byDudley LeSouef. 1904: Annual Report includes 'Plan of the Gardens of the Zoological&Acclimatisation Society of Victoria, Royal Park, Melbourne'. 'Thecouncilendeavours, as far as able, to make the flower beds adistinctivefeature, as they add so much to the attractiveness of theZoologicalGarden. A long avenue of Pepper Trees has been planted ...intended tosupplement a row of Sugar Gums, which are infested with woodborer'. 1913: First giraffes arrive at zoo, giraffe house erected. Giraffehouseillustrated in Annual Report, c.1924-25. Building altered severaltimesand for a time used for a small circus run by the Freeman family. c.1916-17 Elephant yard established, probably on the same site asthelater Elephant House. 1923: Death of W.H.D. LeSouef. 1924: Andrew Wilkie takes over as director, after having started atthezoo as a young gardener from the botanic gardens in the 1860s at age14. 1927: New parrot pavilion in course of erection mentioned inAnnualReport; landscape gardener added to staff. 1927-28: Orangutan house erected. 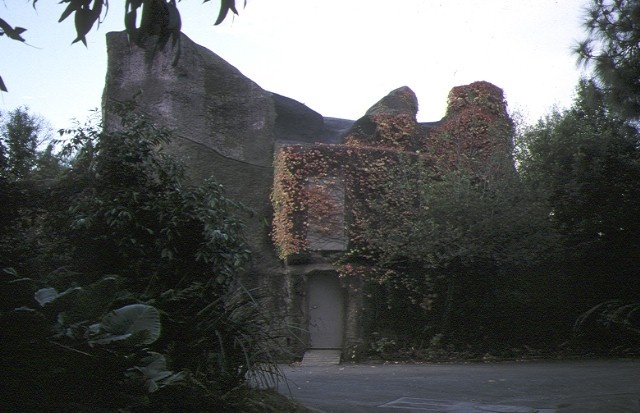 The adjacent andarchitecturallysimilar Monkey house was shown on the c.1931 plan butprobably erectedat a similar period to Orangutan house. 1928 Octagonal house erected, initially occupied by monkeys insteadofits planned use as an aviary. 1934: Australian section established by David Fleay and others. 1930s Food Preparation Room and veterinary complex erected (judgingfromarchitectural style). 1936 New Zoological Gardens Act proclaimed, Zoological Board ofVictoriaestablished as a statutory authority. 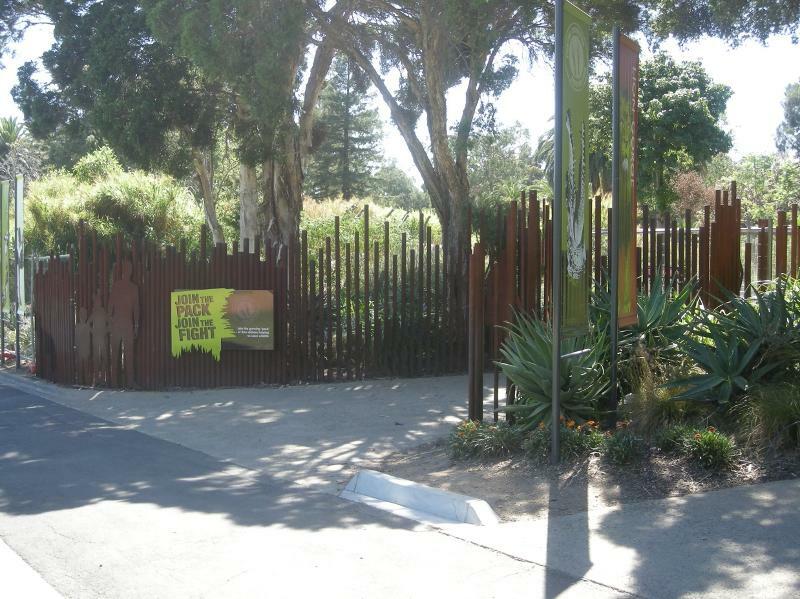 Public Works Departmentnowresponsible for building program at the zoo. 1938-39 Perimeter fence, front and rear entrance buildings,children'splayground, monkey island (now the seal enclosure) and theveterinarycomplex erected. Percy Everett, Chief Architect for PublicWorksDepartment, responsible for the design of many works. Flightaviary(after 1980 known as Great Flight Aviary) opened on its presentsite. 1940s Miniature 'Spirit of Progress' train 'one of the mostpopularamusements for children'. 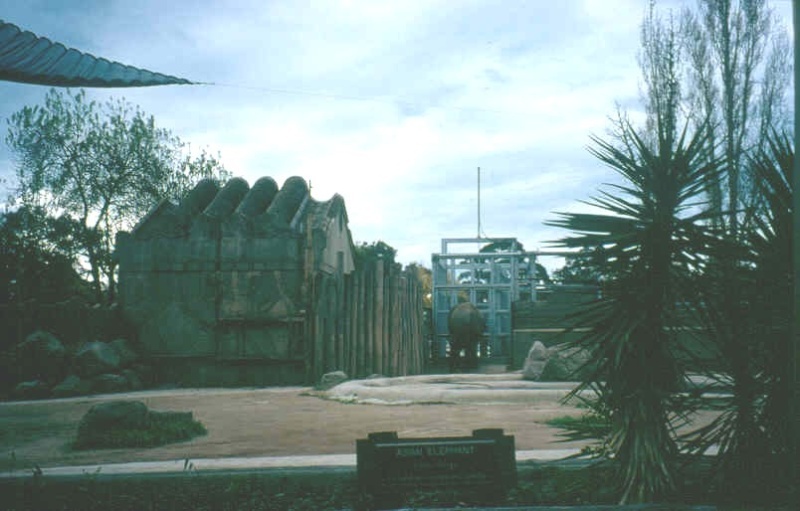 1944 Elephant House erected, elephants located for a time in theGiraffeenclosure. 1952 Carousel installed at the zoo. 1963 Masterplan prepared by Garnet Alsop and Partners. 1967 New Zoological Gardens Act proclaimed. 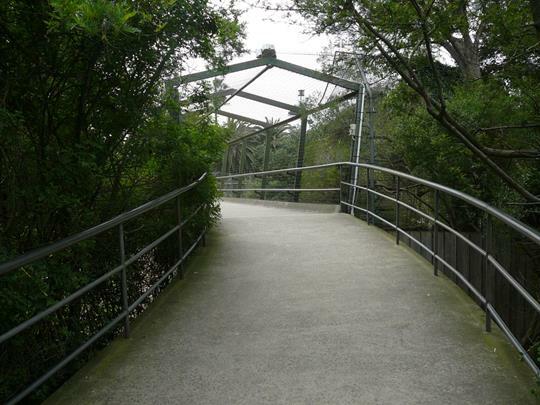 1980: Great flight aviary re-opened with new rainforest, wetlandandscrubland environments. 1984-85 Butterfly house and Bear enclosure developed. 1988-89: Masterplan prepared by internationally renowned zooplannerDavid Hancocks. 150 Years Melbourne Zoo, 2012, Bounce Books: Thornbury, Victoria. Any Minor Works that in the opinion of the Executive Director will not adversely affect the heritage significance of the place may be exempt from the permit requirements of the Heritage Act. A person proposing to undertake minor works must submit a proposal to the Executive Director. If the Executive Director is satisfied that the proposed works will not adversely affect the heritage values of the site, the applicant may be exempted from the requirement to obtain a heritage permit. If an applicant is uncertain whether a heritage permit is required, it is recommended that the permits co-ordinator be contacted.
. Repainting all previously painted surfaces in the same colour scheme and paint type.
. Repair and servicing of existing equipment and services including wiring, plumbing and fire services; equipment and components with moveable parts requiring lubrication including machinery, engines, water reticulation systems.
. Removal of extraneous items such as air conditioners, ducting, wiring, antennae, aerials, etc, and making good.
. Installation or repair of damp-proof courses by either injection method or grouted pocket method.
. Maintenance of power or pipelines or other public services where this involves no alteration to the fabric of the place.
. Installation, removal or replacement of electrical wiring, provided that all new wiring is fully concealed.
. The process of gardening, including mowing, hedge clipping, annual bedding displays, removal of dead and diseased plants (excluding trees), disease and weed control, mulching and maintenance to care for existing plants and lawns.
. Removal of dead or dangerous trees and emergency tree works to maintain public safety and to protect significant buildings, structures and landscape, and the replanting the same species in the same location provided a tree removal report is submitted to the Executive Director within 21 days of the removal.
. Repairs and maintenance to hard landscape elements, roads and paths, edging, gutters, steps, drainage and irrigation systems, fences and gates.
. Management of trees in accordance with Australian Standard; Pruning of Amenity Trees AS 4373 - 1996.
. Management of trees in accordance with Australian Standard; Protection of Trees on Development Sites AS 4970 - 2009.
. Subsurface works involving the installation, removal or replacement of watering and drainage systems or services. 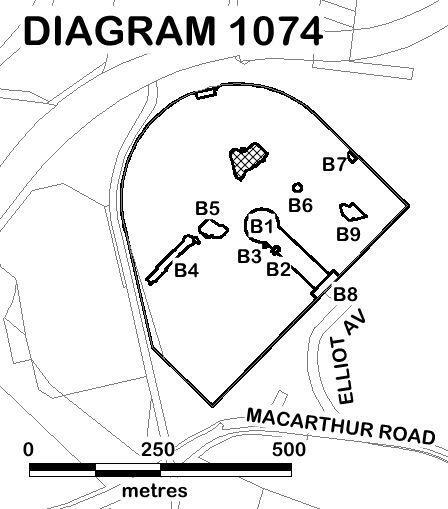 The extent of registration of the Royal Melbourne Zoological Gardens in the Victorian Heritage Register affects the whole place shown on Diagram 1074 including all buildings (exteriors and interiors). Under the Heritage Act 1995 a person must not remove or demolish, damage or despoil, develop or alter or excavate, relocate or disturb the position of any part of a registered place or object without approval. It is acknowledged, however, that alterations and other works may be required to keep places and objects in good repair and adapt them for use into the future. Ground disturbance may affect any archaeological deposits of the place and, subject to the exemptions stated in this document, requires a permit.